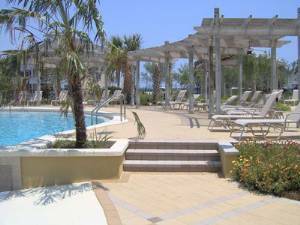 Beach Resort #406-Gulf Views,Tropical 9000 sf Pool Deck! 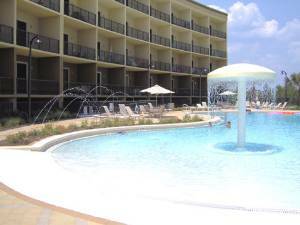 Welcome to Destin and Beach Resort 406! 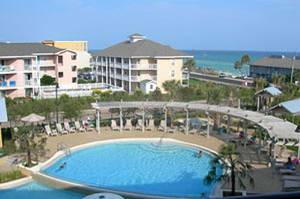 Enjoy the exquisite GULFVIEWS from this intimate 4th floor condo, situated in the heart of Destin vacationers' favored Scenic Gulf Drive. Bring up to 7 guests to this one bedroom plus bunk,two bath resort condo. 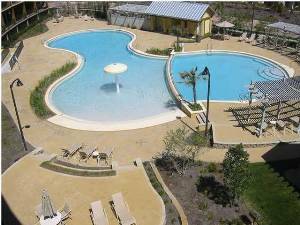 Beach Resort is a NEW (2006), exclusive, intimate low-rise, 4 story resort with only 64 units. The TROPICALLY LANDSCAPED POOL area creates quite a breathtaking oasis! Enjoy dipping in the heated portion of the 5000 SF BI-LEVEL POOL, or splash around with the kids in the zero-entry area with the fountain. Read a book under one of the shaded gazebos or stroll across to the beach (300 FT. OF DEEDED, GATED BEACH ACCESS). 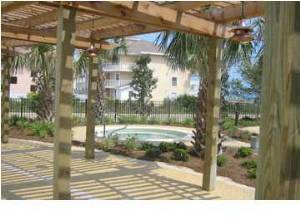 The 9000 SF POOL DECK is a great gathering place for a fun night of grilling out in the covered area, perhaps followed by a walk on the beach or going crabbing with the kids. This PRIME LOCATION is just minutes from top restaurants, designer outlets, open air shopping centers, and water and fishing activities! "Nice place, good for families"
Overall, I was very impressed with this vacation rental. It was a well-decorated condo that served our needs. We enjoyed the fact that the development was smaller and we didn't have to "fight" for lounge chairs at the pool. 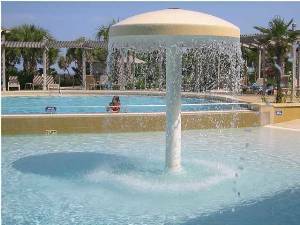 The pool is very nice and the zero gravity entry makes it ideal for young kids. The unit was across the street from the beach. If you use the entrance they have arranged it can be a little hike. We found a closer entry point with a nice deck and cubby holes for storage. (I should tell you it is actually for another resort but they don't lock the gate.) I would recommend this rental for families. 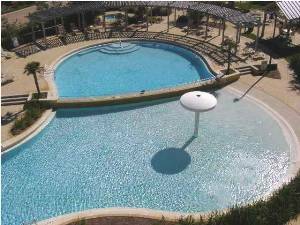 *We do not rent to vacationing students and singles under 25 unless accompanied by parent or guardian. *We do not require a security deposit, as long as you agree that we can charge your credit card to cover any damages. *Vacation Insurance and Damage Protection Insurance optionally available for additional peace-of-mind. *We do offer last minutes specials. 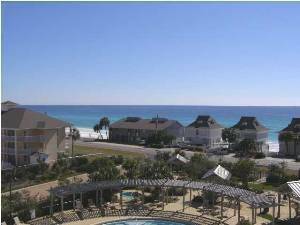 *Call or email today to book your Destin vacation! *We accept Visa, Mastercard and Discover, as well as checks and paypal. Deposit: Advance payment of $300 required at time of booking plus vacation insurance or damage protection insurance if chosen. Cancellations and Refunds: May purchase vacation insurance to cover cancellation.